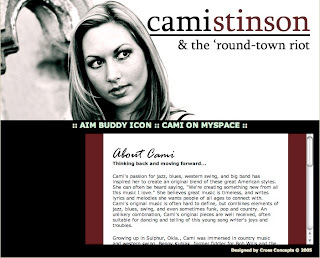 Recently received permission to use a wonderful, soulful song from Cami Stinson & the 'Round-Town Riot. It will be playing as track one on my website. I really enjoy promoting local talent and she is one of the best! Check out her schedule on the website to see for yourself!